This dual-purpose Post-It Flag Highlighter lets you flag and highlight with one device, keeping you better organized and saving you time. See something worth remembering? Highlight the line and flag the page for easy future review. 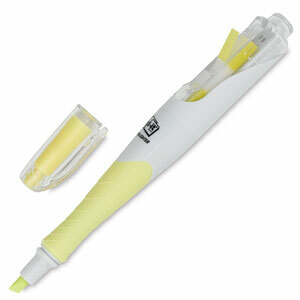 The thick barrel includes a comfort grip and makes the highlighter easy to use. The wide tip and extra ink let you highlight larger areas. Yellow highlighter contains 50 refillable flags.